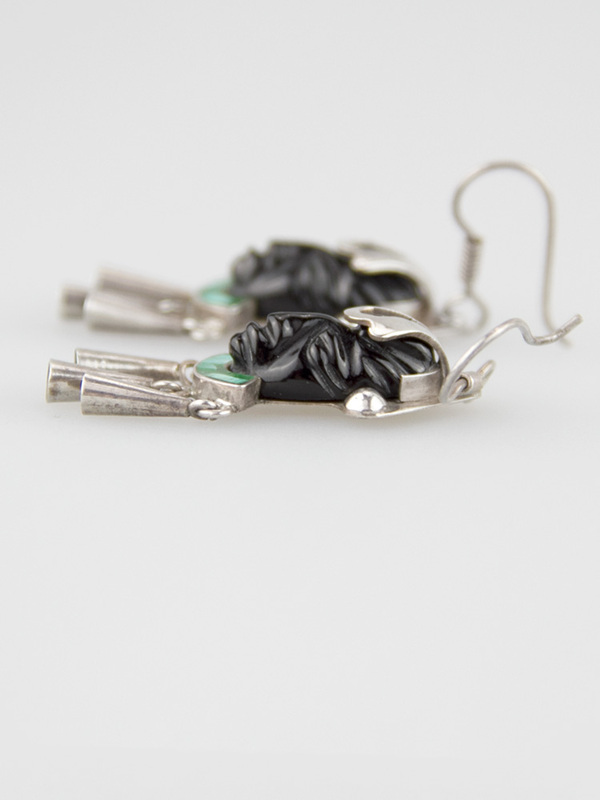 Taxco made, handcrafted Mexican vintage earrings. 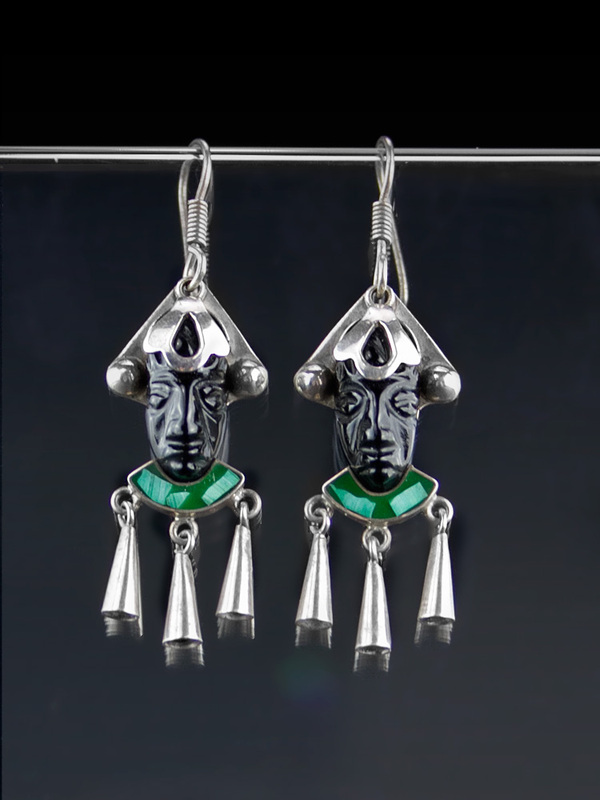 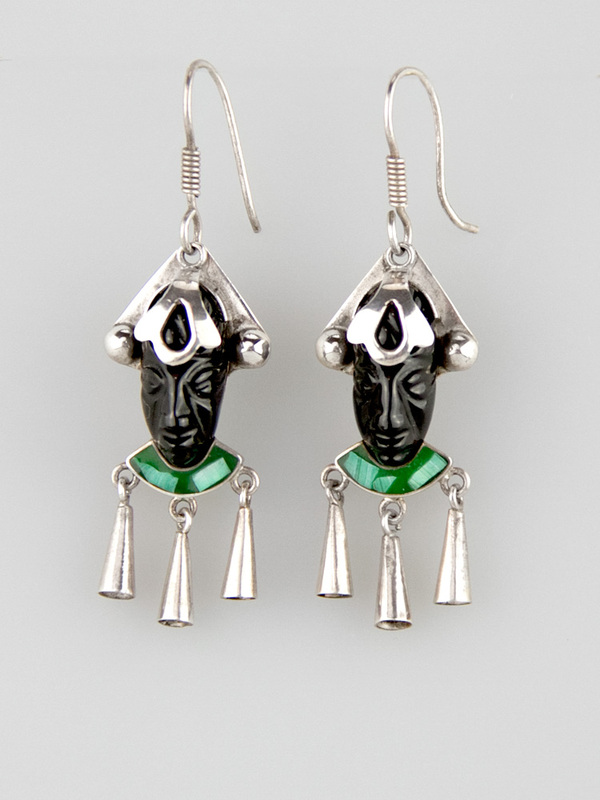 These stunning Aztec mask earrings are hand carved onyx faces with a malachite chip inlay, in fine silver (950). 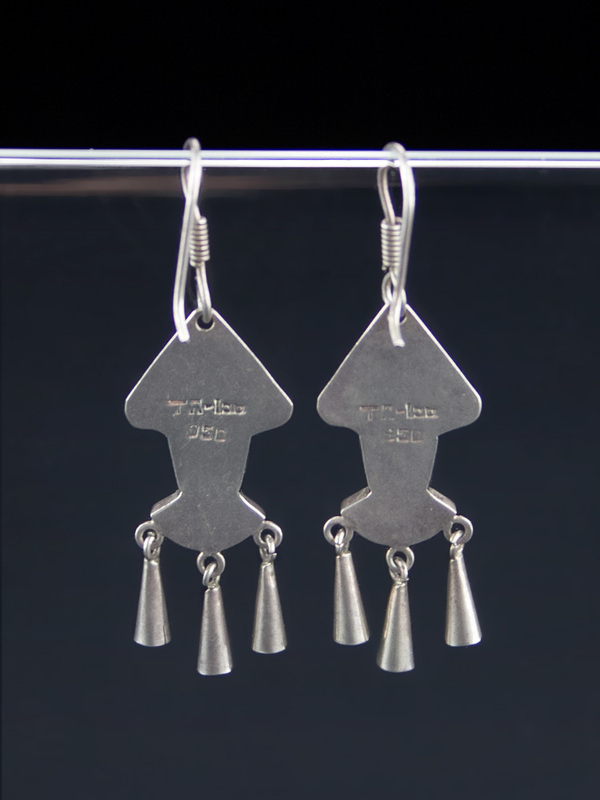 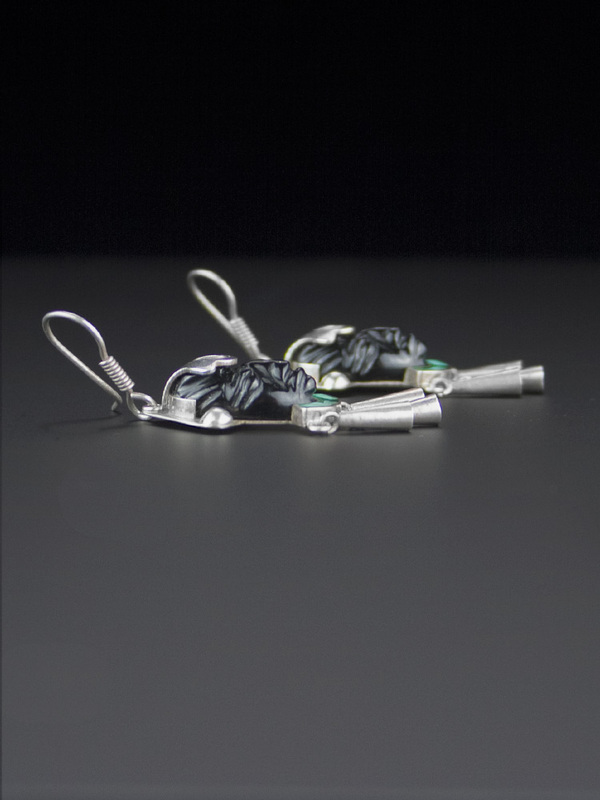 Lovely fine silver dangles and the perfect weight - these are beautifully crafted and unique earrings.